Four years and a few months later he was in Montreal. February. At 45, he was a veteran by then of seven NHL campaigns. He walked into NHL headquarters in the Sun Life building where he called Carl Voss, chief referee, out of a meeting to tell him, “I quit as of now.” He didn’t stay to see NHL president Clarence Campbell. According to Voss, Powers left after saying that the two secretaries present could serve as witnesses of his resignation. Powers had refereed a game on the last day of January, Toronto at Montreal. That was the start of it. 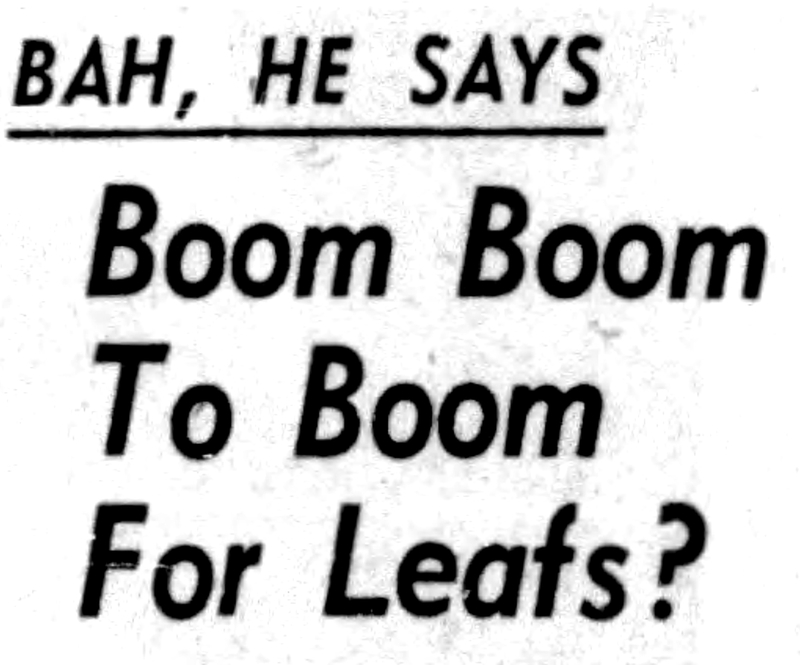 The Maple Leafs shot down the Canadiens, 6-3 (Red Burnett’s view, in The Toronto Daily Star), or else erased a 2-0 Montreal lead and ran away with the game on four third-period scores (Pat Curran in the hometown Gazette). 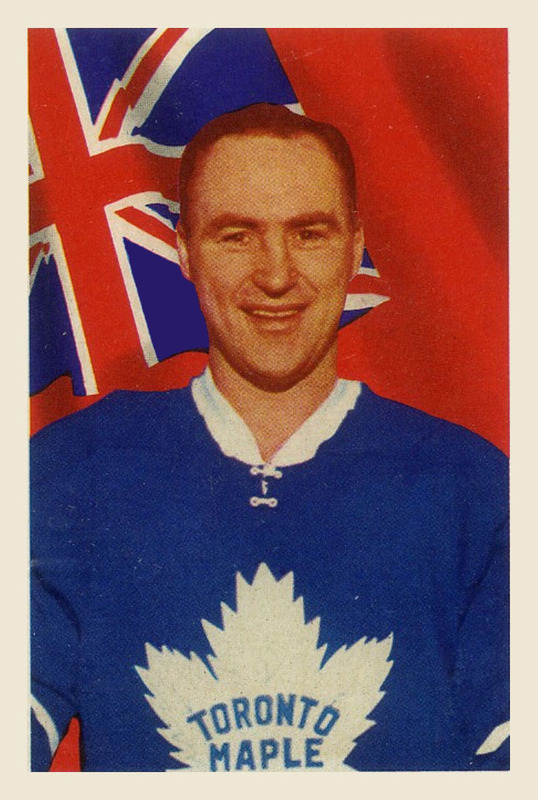 Either way, the Leafs’ Red Kelly scored a hattrick. 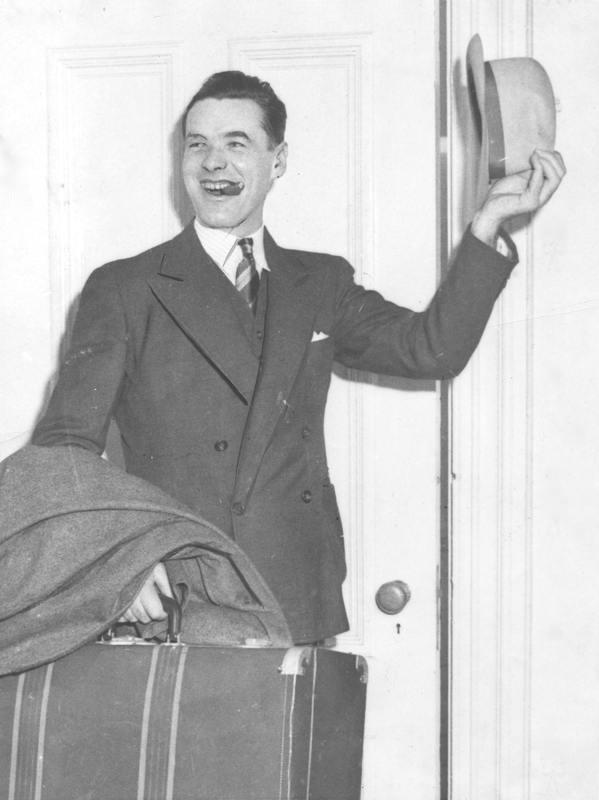 He was playing centre; also, as widely reported, as an opposition Liberal MP for the riding of Toronto West, he was missing a tumultuous day in Parliament as Prime Minister John Diefenbaker’s government tottered on the edge of dissolution over its nuclear arms policy and what the United States thought about it. 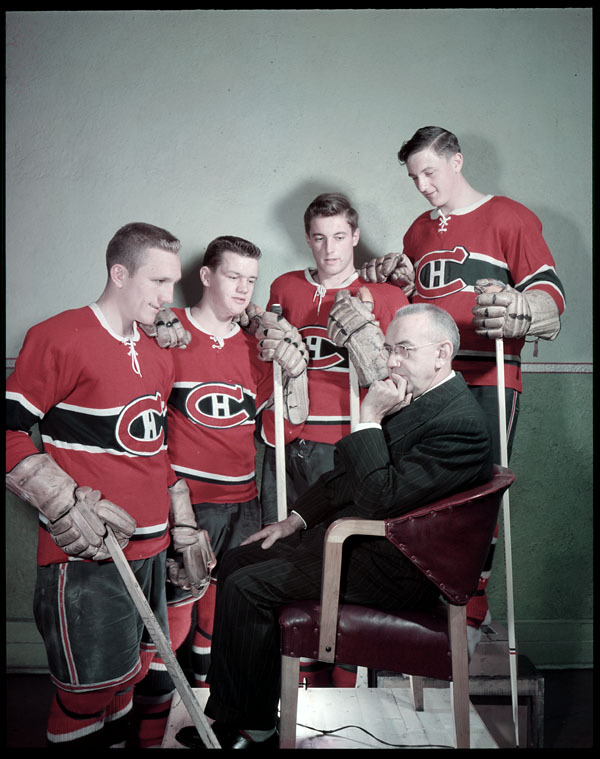 In Montreal, the Canadiens were close to detonation by force of sheer disgruntlement. 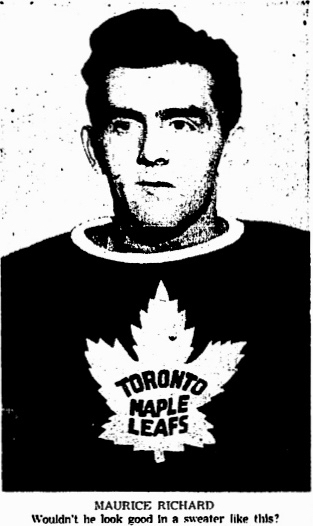 Kelly’s second goal, they thought, was scored while the Leafs’ Bob Nevin was in the crease. 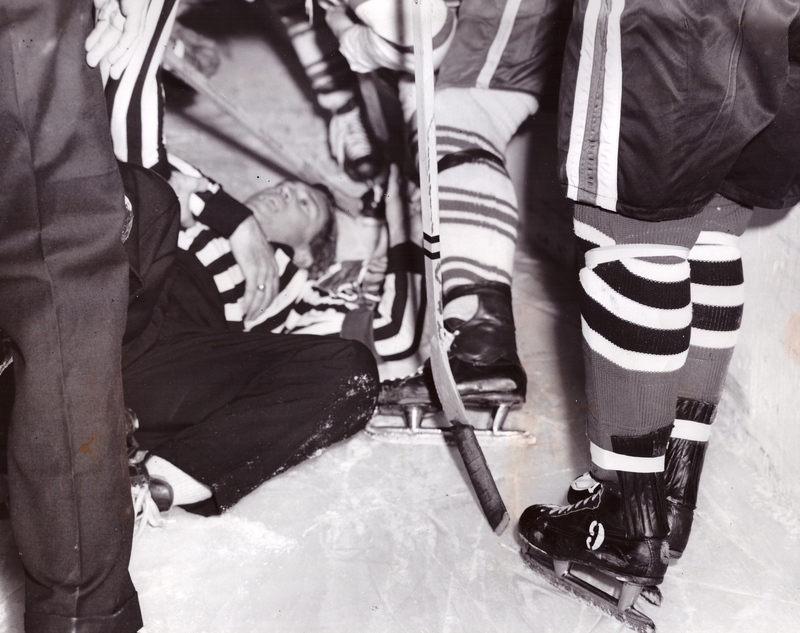 Montreal goaltender Jacques Plante chased after referee Powers to remonstrate and, eventually, to demonstrate how to smash a goalstick to flinders. 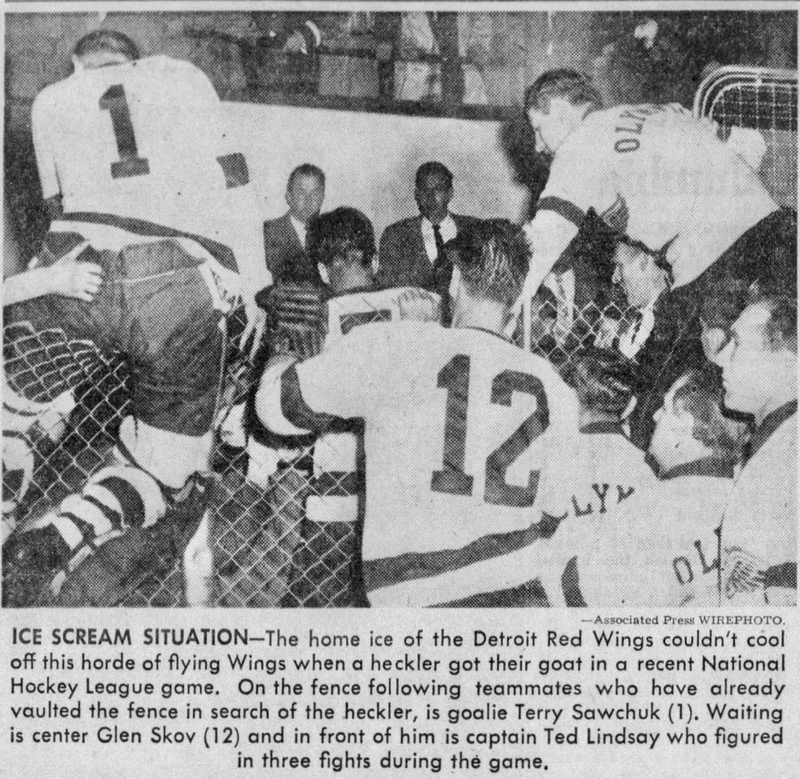 The Gazette reported that the Habs thought that Nevin had kicked the puck into the net. Coach Toe Blake screamed so much that Powers gave him a bench minor. A big day yesterday for Toronto’s grandest Loblaws, which marked the occasion with a recall of select varieties of PC® brand hummus, which may contain the toxin produced by Staphylococcus bacteria. Actually, I’m not entirely convinced that the hummus emergency has anything to do with the anniversary of the start of construction of the famous building that has housed the supermarket at 60 Carlton since 2011, but that doesn’t matter: either way, it’s 84 years since work began on the house that Conn Smythe decided to build, mid-Depression, on the land that Timothy Eaton sold him. 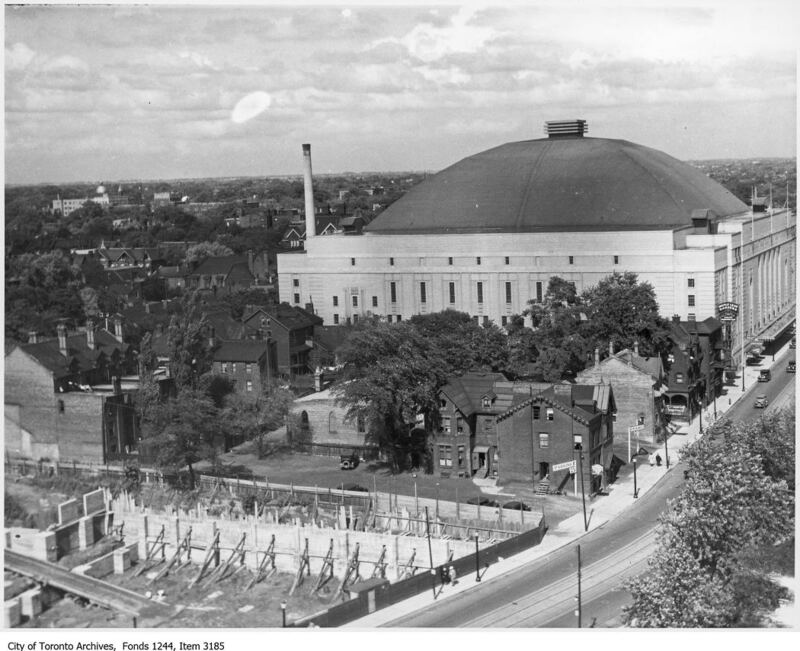 Which is to say, of course, Maple Leaf Gardens. The first site the Leafs looked at was on the waterfront; another was at up at Spadina and College. The T. Eaton Company offered a parcel of land on Church just north of Carlton — not a hundred yards from where Smythe was born. But Smythe wanted to right on Carlton, near the streetcar lines, and so the deal was done, for $350,000. “We knocked down all the old buildings,” Smythe writes in If You Can’t Beat ’Em in the Alley, with what might be glee, “starting with the tobacco store right on the corner.” People laughed when he hired a watchman to keep an eye on the levelled property — was he afraid someone was going to make off with the site? 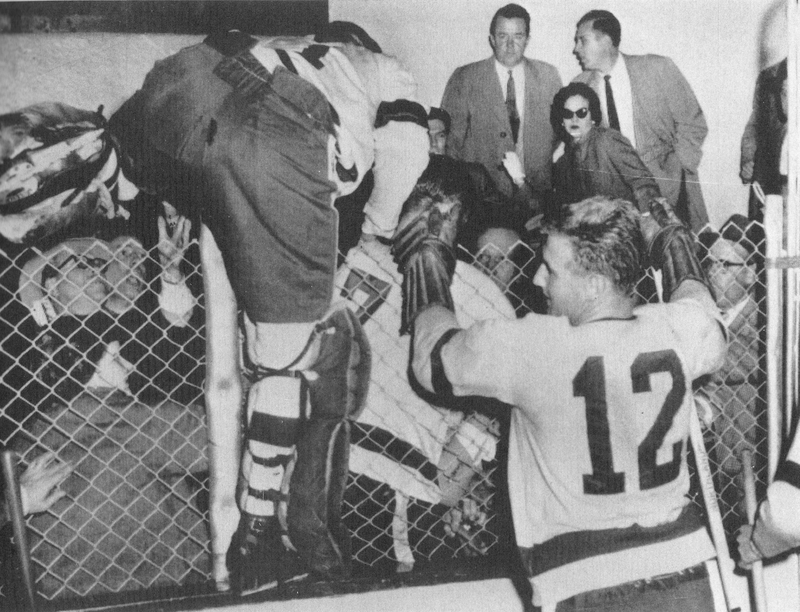 Anyway, he was a distinguished sentinel, a young Marlboro prospect named Buzz Boll who later turned into a scoring left-winger for the Leafs, Americans, and Bruins. A local contractor, Thomson Brothers, got the job when they came in with the lowest bid: $989,297, not including the cost of steel. 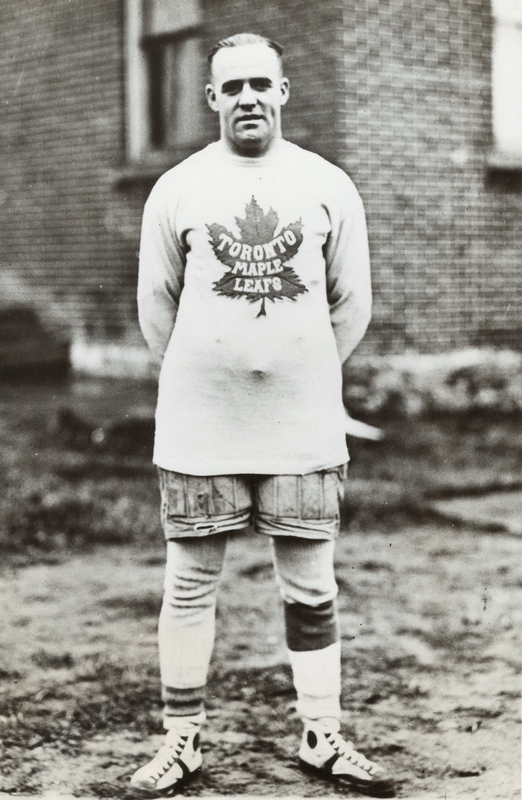 When it looked like the Leafs wouldn’t have the money to go ahead, Smythe and his assistant, Frank Selke, convinced the labour unions to allow their men to be paid partly in Gardens’ stock. On Saturday, May 30, 1931, the day after the contract with the Thomsons was signed, The Toronto Daily Star heralded the imminent start of the race to finish the building by November 1: “steam shovels will commence excavating at midnight Sunday.” Some 20,000 yards of earth needed shifting initially, and it was estimated that it would five weeks before any structure began to rise. “The work will be continued by day and night shifts as long as is necessary,” The Star noted. 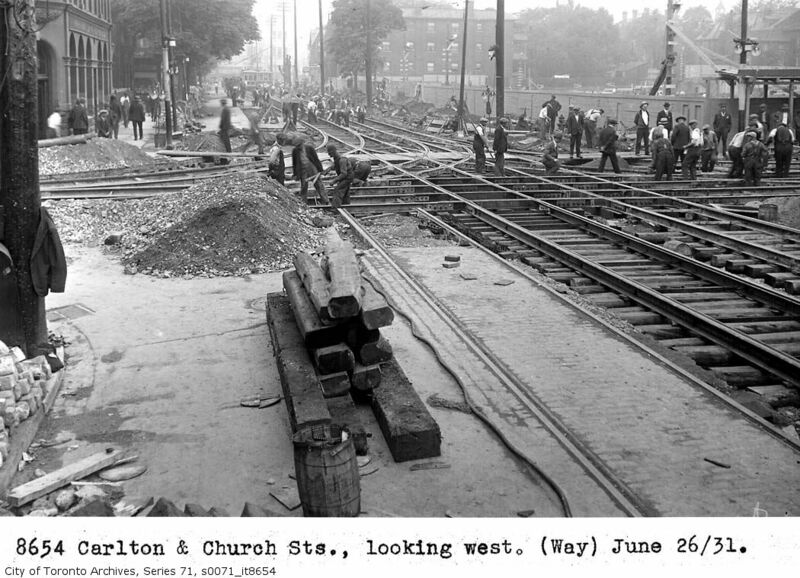 Leafs Rebuild: A Toronto Transit Commission photograph showing work on streetcar tracks in late June of 1931 with the MLG construction site in the background.